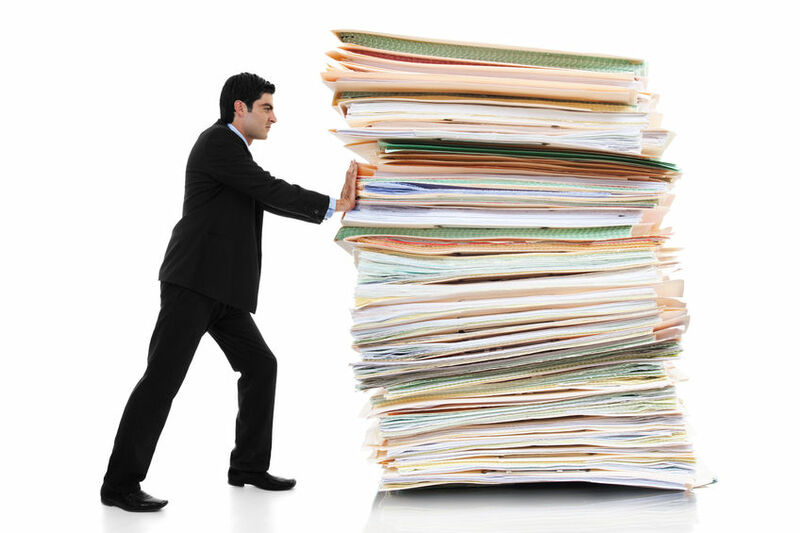 If you run an established business and are considering making your office partially or totally paperless, a large part of making that happen will be finding a way to scan existing paper documents. As efficient as your own scanner or administrative staff may be, it’s almost certain that this is a task you’ll want to outsource to professionals. But how to find the right vendor for your needs? Here are a few things to consider when searching for the best fit. Most document scanning companies will charge per page or per image, with prices ranging anywhere from $.03 to $.085 per page. Factors like the size of the job and the condition of the files will impact price. Data Storage, Inc., a document scanning and records management company, says that it considers details including the condition of the documents, paper and file sizes, the number and length of index fields, and metal content like paper clips or staples when determining the price of a job. The time it takes depends, of course, on the size of the job. Leo Welder, founder and CEO of Zilker Ventures, used a document scanning company to help him convert what he estimates was about two filing cabinets worth of paper. That job took about two weeks. Document scanners may also be able to come to an office and pick up the files, if the amount that you need scanned exceeds something that could be easily transported. Once a company has your files, they will convert them into an electronic format – usually a pdf, TIFF, or jpeg format. Providers may scan an entire folder’s worth of papers into one document, which means you’ll have files named after the folder. Some providers will also offer optical character recognition, or OCR. That means that once you have the electronic files you can type in a search term and search for that keyword in all the scanned documents. Your office may have filing protocol already, and many document scanning companies will take that into consideration when naming the new, scanned files. Some options include creating index streams and folder structures so that files can be sorted numerically, alphabetically, by file name, or by file date. When searching for a vendor, it’s worth clarifying whether the vendor provides services to load the images and index values into your existing system, or if that will be your responsibility. How Do I Find Scanning Companies? 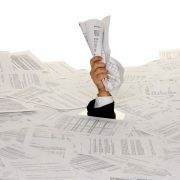 Although the idea of a paperless office seems like a modern one, many document scanning vendors have been around 20 years or more. Rick Wahlberg, president of Austin-based Image Micrographics Inc., says his company has been in business for 26 years. In that time their clients have come from myriad industries, but the biggest customer base has come from the medical field, oil and gas, and government entities. Wahlberg says projects his company takes on have ranged from as small as one file to millions of files. Given the fact that most scanning companies have an established presences, you can certainly do a search through a site like Yelp, or find a vendor through industry contacts. Another option is to use a site like Austin Scanning and Imaging, which allows companies in the Austin area to enter information and get quotes from scanning vendors. Other factors to consider when finding a vendor could include whether a scanning company has a documents quality control policy they can share; is there a disaster recovery plan; and has the company worked with others in your industry. There are also certifications and compliances around document scanning, depending on what country and region you’re in, and you might want to check to see which of those a potential vendor holds.